Chevening Scholars, Alumni, and Partners came together at the Foreign and Commonwealth Office on Thursday, 11 October to celebrate the launch of Chevening’s 35th anniversary celebrations, and the publication of an impact report, showcasing the extraordinary achievements of the programme since 1983. 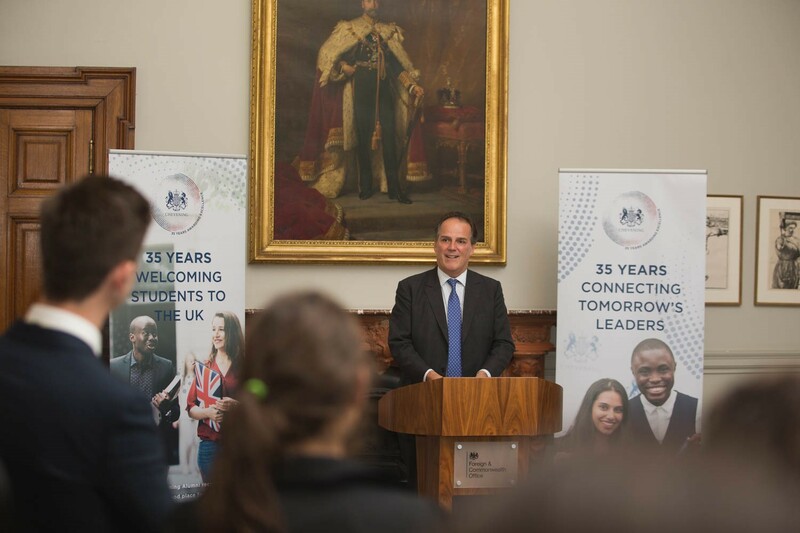 In his speech, the Rt Hon Mark Field MP, Minister of State, reflected upon the changes and growth experienced by the programme over its rich 35 year history. Much of this is outlined in the impact report, which is now available to download. The report tells the story of how Chevening has ‘evolved from a fledgling scheme, supporting just 100 scholars a year’, to the internationally-renowned programme that exists today, with a global alumni network of more than 50,000 exceptional individuals who are breaking boundaries across a variety of professional fields. Of central importance to the Chevening programme is the impact of the awards on individuals’ lives and careers. The audience had the opportunity to hear directly from a scholar, who testified to the transformative nature of her Chevening Scholarship. 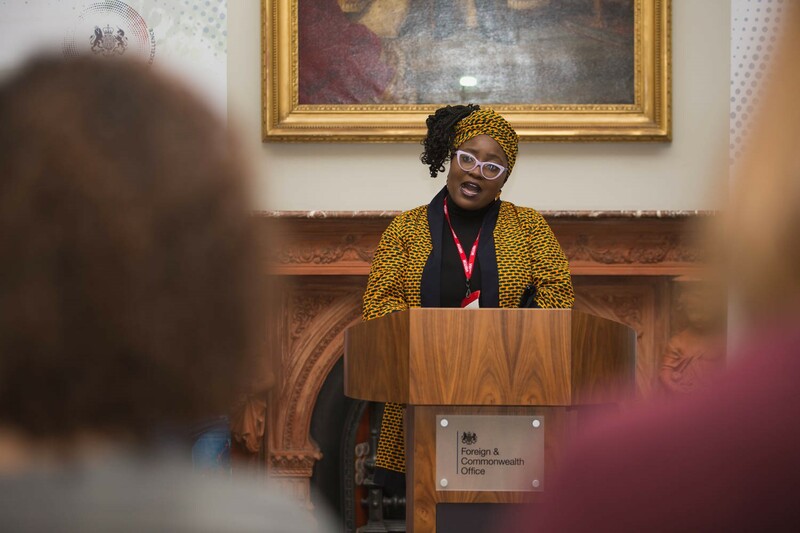 Anu Adelakun, who recently graduated from the University of Sussex with an MA Journalism and Documentary Practice, spoke of her childhood dream, growing up in Nigeria, of becoming a radio journalist and fighting injustice. For Anu, being awarded a Chevening Scholarship was a turning point in her life, affording her an array of unique opportunities: ‘to learn from the world’s best’ journalism and media experts, to be broadcast on air for the first time on the University of Sussex radio station, and to engage with a high-level UN Women panel on the topic of women’s economic empowerment. Anu described the powerful feeling of being part of an alumni network of 50,000 people that includes world leaders, entrepreneurs, activists, artists, and academics who are ‘working together, challenging stereotypes, innovating, speaking up for the downtrodden, improving humanity, and building the world block by block.’ Reflecting on the unparalleled networking opportunities that are available to Chevening Scholars and Alumni, Anu noted that her ‘network has exploded beyond [her] wildest imagination’. Throughout the evening, great emphasis was placed on the important role of the Chevening Secretariat’s numerous partnerships, across the corporate and higher education sectors. The assembled heard from Richard Briant, Director of the Chevening Rolls-Royce Science, Innovation, Leadership and Policy programme (CRISP). This prestigious fellowship for Indian and Sri-Lankan students has been running since 2011, in collaboration with the University of Oxford, and its alumni have reached senior positions in research, business, government, and many other fields. 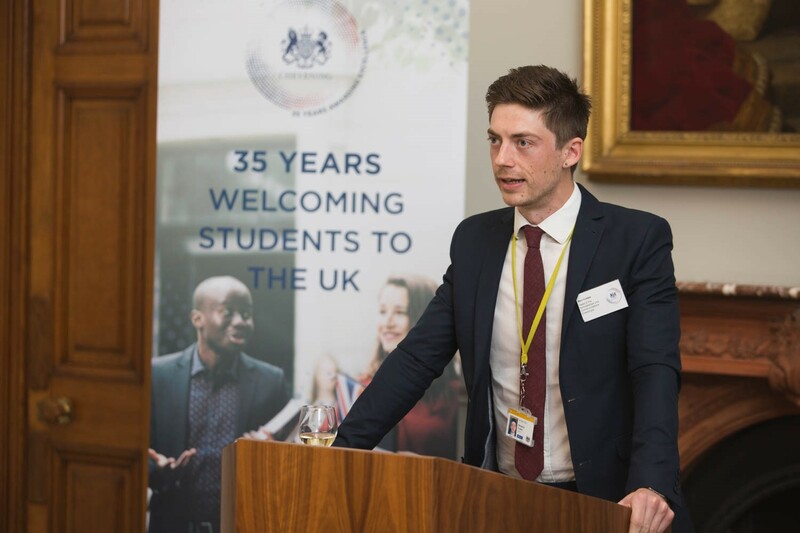 Mr Briant described the Chevening Fellowships as ‘both partnerships and two-way streets, bringing mutual benefits’ to fellows and their host institutions. 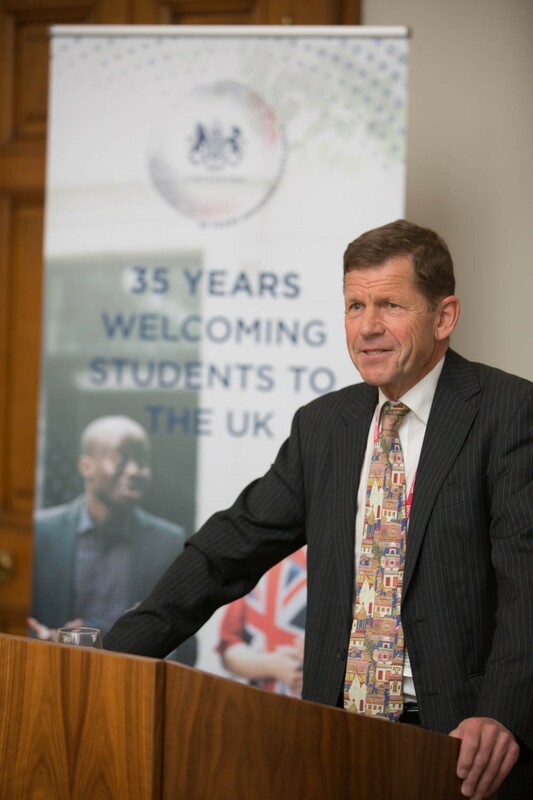 He was full of praise for the fellows themselves, describing them as ‘ a remarkable group of high energy, high achievers, great at developing connections and building networks…always pleasant, quick to engage and open to new ideas.’ He reminded the audience of the strength of UK-India relations and pointed out that the CRISP Fellowship is a powerful mechanism for reinforcing this important bond. This gathering was the first in a series of exciting events lined up for the 2018/2019 academic year, to celebrate Chevening’s milestone anniversary.